I am always intrigued by books that have time travel as part of the plot. 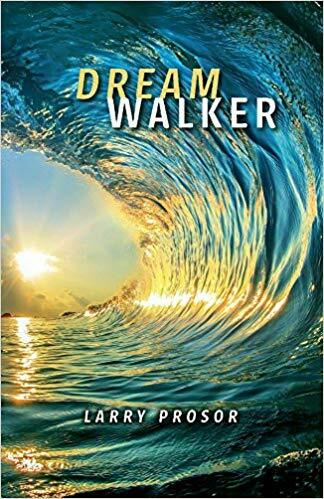 Dream Walker by Larry Prosor offers a look back in time to when the Native Americans were still living along the coast of California. I was sent a copy at no charge for my honest review. Fired from his job at an Indian casino and armed with a dolphin amulet gifted to him by his Noqoto grandfather, student archaeologist Peter Martinez is on a mission to save Rocky Point, California from an oil giant’s development plans. But when his exploration of the sacred coastal land leads him to an ancient burial cave in the side of a cliff, a wave knocks him into the water and he wakes up on the beach―more than 300 years in the past. His Noqoto ancestors have occupied this shore for thousands of years, but in 1786 their experiences with the Spanish have left them wary of strangers. That this Dream Walker outsider who walks into their village and knows so little of their world hints at their destiny is alarming. But when the village leader’s son leads Peter into the wilderness to test his character and resolve, the skills taught to Peter by his grandfather wins over the tribe and they begin to listen to his words of warning. Is there anything they can do to prevent the future Peter says is coming? Or can they use his knowledge to save themselves? Larry Prosor is a novelist, screenwriter and photographer. His books include Dream Walker, Lake Tahoe and Nevada. His words and images appear in numerous books, media, calendars, advertising and art worldwide. He believes storytelling is best told by living a life filled with interesting stories. Born in California, he lives in New Zealand. There is much to praise in this novel and yet I found myself coming out of the story so many times it was distracting. When I read I generally find myself floating along in the story, almost like watching a movie in my head. When I encounter a book that doesn’t flow or brings me in and out of that state I get frustrated. Peter is a young man who would rather be surfing but he has a job at his Tribe’s casino – that he hates, but it’s a job. He is late – again – and his behaviour causes him to lose his job. He’s not exactly sad at this outcome and he takes the opportunity to head to his college and hopefully work on finishing his thesis. There he finds out he will work on a cultural study in an area where an energy company wants to put in a large plant for oil/gas processing. It’s one of Peter’s favorite surf spots and he is devastated at the possibility that the area will be destroyed. While on the study Peter has an accident – or is it? – and he travels back in time to the era of his Ancestors where he interacts with them including showing them how to build surfboards and how to surf. If you can’t already tell, surfing plays a big role in this novel. If you don’t like/don’t understand/don’t care about surfing, much will be lost on you as it was on me. Along the way Peter meets a young woman scientist who is also working to stop the construction and they form a strong bond. At times the book was very interesting and Mr. Prosor has a magical way with words when he is describing anything to do with nature. He is not so magical when it comes to dialog. It’s also not a book that is going to appeal to people who don’t believe that climate change is real because it plays a major role in the book. There is a good book in here somewhere, I just think it needed a little more refining.